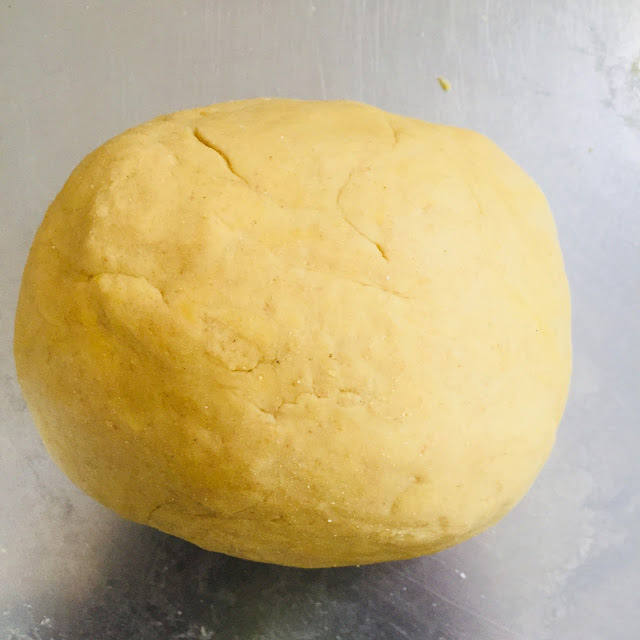 Chana dal parantha recipe with step by step photos. Chana dal parantha is super duper wholesome breakfast. It is loaded with proteins. Chana dal's unique texture and flavour make it so different from rest of the paranthas. Chana dal parantha can be prepared in two ways. First one is to stuff dal in paranthas, the second one is to knead the dough with chana dal. Both of them taste so good! It is one of the best ways to use leftover dal as well. For this chana dal recipe, chana dal is soaked for 3-4 hours. Then pressure cooked and seasoned with some spices. This spicy chana dal mixture is then stuffed in the paranthas. Paranthas are roasted then served with beaten curd or chutney or achar or maybe just ketchup! Here goes the step by step chana dal recipe with Photos. Soak chana dal in lukewarm water for 3-4 hours. For 1 cup of dal add at least 3 cups of water. Add turmeric powder and salt in soaked chana dal. Pressure cook chana dal for 2 whistles on high flame then simmer it for 4-5 minutes on low flame. Let the pressure release on its own. Dal is very well cooked now! Strain all the excess water. Dal should be really dry for stuffing. Don't throw the water. We will use it for kneading the dough. Add jeera(Cumin seeds), dried red chilli and heeng (asafoetida). Let it splutter. Add grated ginger, finely chopped green chillies and garlic. Sauté it a little. Add finely chopped onions, dhania powder (coriander powder), jeera powder(Cumin powder) and red chilli powder. Sauté it until onions turn translucent. Add dal. Mash it with the back of your spatula. Add Kasuri methi. Mix it well. Stuffing is ready! Keep it aside in a bowl so that it cools down quickly. Mix atta and the water left after cooking dal. Take two lemon sized sections of dough. Spread the stuffing on one of them. Cover it with another one. Now roll it as big as a normal parantha. Use dry atta for dusting. Parantha is ready to be roasted. You will start noticing few bubbles, this is the time to flip it. Brush some oil on this side. Brush some oil this side as well. Serve it with beaten curd or chutney or ketchup! 1. Soak chana dal in lukewarm water. 2. Add turmeric and salt. Pressure cook it for 2 whistles on high. Then simmer it on low flame. 3. Dal is cooked. It is important that dal should be dry for stuffing. So we should strain excess water. 4. Strain excess water using a strainer. 5. Save the water for kneading the dough. 6. Time to season dal with some spices. Heat oil in a kadhai. 7. Add cumin seeds(Jeera), asafoetida(Heeng) and dried red chilli. 8. Add grated ginger, chopped garlic and green chillies. 10. Add coriander powder(dhania powder), cumin powder (Jeera powder) and red chilli powder. Sauté it until onions are not translucent. 11. Add cooked dal. Mix and mash it well. 12. Add Kasuri Methi. Mix it well. 13. Mix leftover water and atta. Don't add all the water at once, add it as required. For 3 cups of atta, you will need approx 1 cup of water. 14. The dough is ready! 15. Take a small section of dough. 16. Roll it a little. 17. Prepare two such sides for parantha. 18. Spread dal mixture on one. 19. Cover it with another. 21. Put it on a hot pan. 22. Flip it once you start noticing bubbles. 24. Flip it again. Brush some oil on this side as well.